How often do we think of fire drills as a nuisance that interrupts a lesson or a nice break to get everyone outside for a few minutes? Even though the kids at Our Lady of the Angels School in Chicago, Illinois, had dutifully marched out in fire drills, their school lacked the safety measures that might have saved them in a tragic 1958 fire. Ninety-two children and 3 teachers died in the fire. Although it was not the worst school fire ever, it did lead to dramatic improvements in fire prevention measures in schools. 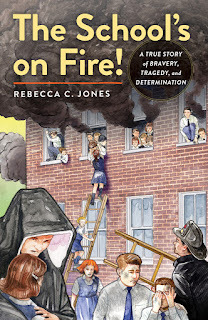 Rebecca C. Jones knew about a school that did indeed burn down in Chicago and wanted to learn the real story behind it. She conducted dramatic interviews with 26 survivors who shared their memories and experiences, classroom by classroom. In one classroom, a back door to the school’s only fire escape was always kept locked. Jones provides a riveting account of children and teachers responding to a very immediate danger. As the subtitle says, there was bravery, tragedy and determination. There are also opportunities for young writers today to reflect on various reactions to a dangerous situation and how they can prepare themselves to think quickly in an emergency. The very real story of this tragic fire could even open the door to difficult conversations about current dangers in schools and communities. 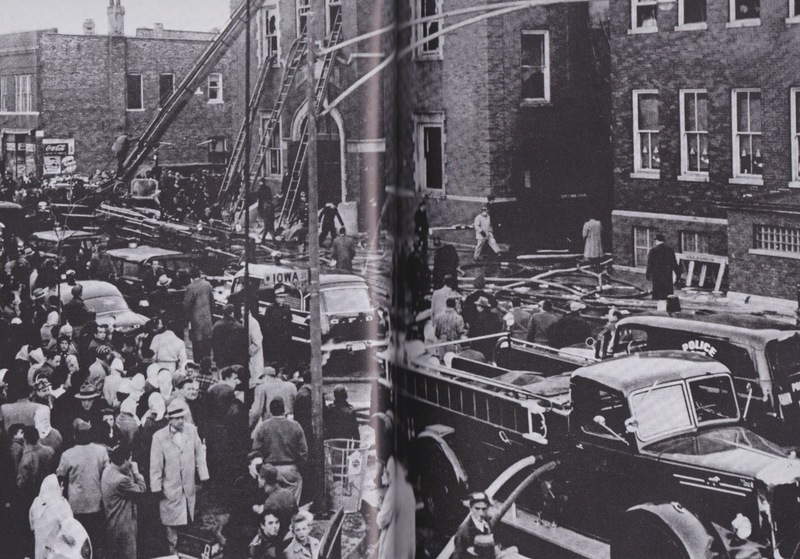 · What might you have done in Sister Geraldita’s situation when you did not have keys to open the door to the fire escape? · Teachers tried different approaches to keeping their students calm. What do you think you might do to calm younger children in an emergency in the school, on the school bus or on the playground? · Tragedy affected every child and family connected to Our Lady of the Angels School. What are some examples of bravery and determination? o What does it mean to be brave? o Do you remember a time when you have been brave? · After classes were back in session, some teachers did not want anyone to talk about the fire ever again. Do you think that was a good idea? · Do you have an escape plan if there is a fire in your home? Describe a conversation at home about what each family member should do during any type of emergency. · Survey the fire prevention measures that exist in your school. Are there things that aren’t working, like some doors and rules at Our Ladies of the Angels? What can you do about something you think is not working as it should?